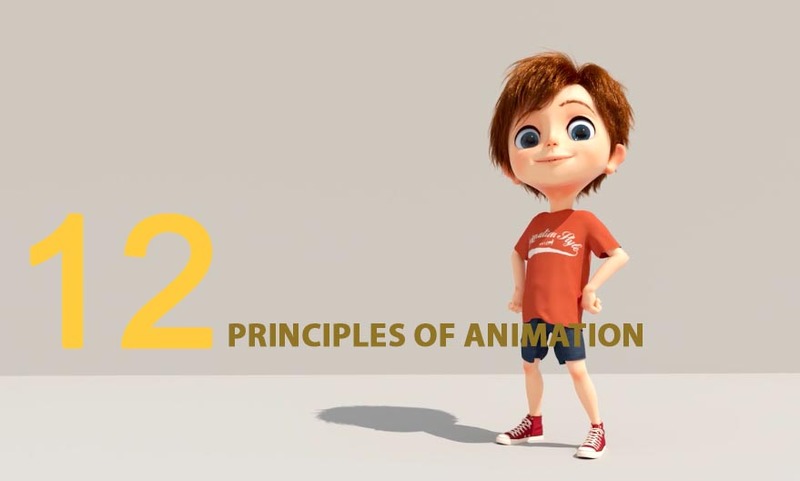 The 12 Basic principles of Animation is essential for all learner, working in Animation Industry. Walt Disney’s legendary Frank Thomas and Ollie Johnston made this principle. 1. Squash and Stretch: The squash and stretch principle provides the illusion of weight and volume to a personality as they move. 2. Anticipation – Anticipation is used to realize the audience to know that a major action is about to take place. 3. Staging – According to this principle every pose or action of the character that he makes should convey a clear intention. 4. Straight Ahead and Pose to Pose – According to this principle which refers to the techniques by which animation is crafted. 5. Follow Through and Overlapping Action – According to this principle when a character is in action and stops, nothing stops all at once. 6. Slow-In and Slow-Out – According to this principle it add realism to the movement of characters. 7. Arc – According to this principle all actions in life have a slightly circular motion. 8. Secondary Action – According to this principle an additional action that reinforces and adds more dimension to the main action. 9. Timing – According to this principle the timing helps create the illusion that an action is abiding by the laws of physics. 10. Exaggeration – According to this principle which is all about overstating certain movements in a way that helps evoke a point, yet doesn’t ruin the believability of the scene. 11. Solid Drawings – According to this principle it encourages animators to be mindful of the fact that while forms may be presented in 2D, they should strive to look 3D. 12. Appeal – According to this principle not all character should be appealing. But as per this principle posits that animators should strive to create images that will be interesting and compelling to audiences.